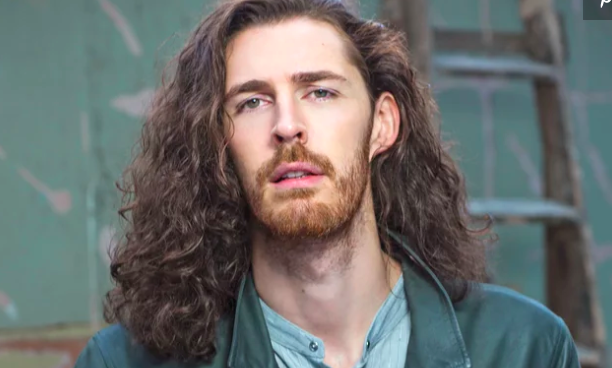 Hozier’s “Wasteland, Baby!” Review 2 – ACC Interactive Media Arts Student Blog! To Noise Making (Sing) – It starts with some bursts of guitar, piano and light drums so the focus is on the vocals. It has a very uplifting sound to it. He is once again using the choral harmonies. The bursts kind of carry through it. A couple choruses in they add some clapping. With overlapping of vocals. As It was – There is an eerie blues guitar in the beginning. His vocal tone is dark and quiet. Then piano and violin kick in, the whole vibe is dark. As it progresses there is a standup bass. I like how his vocals build in the chorus. It ends with a cool droning sound. Shrike – The kick and the bright acoustic guitar to start off is soothing. I could likely fall asleep to it. He hits you with a high note when the chorus starts. It seems that rather than harmonies he has just doubled his vocals in this one. The subtle use of strings in the background adds to the calming feeling. This would also be a nice song to listen to if you were going on a hike through the woods on a sunny day. Talk – There is a groovy blues guitar along with a kick drum and snapping which I feel sets the tone for the song. His voice is lower and sultry and the harmonies are less choral but still present. It’s hard to sit still while listening to it this one, it makes you want to bob your head and tap your foot. I really like the layering of the instruments in this one, it creates a very full sound. Be – It has a good hit to start the song, very powerful feeling. Heavy distortion on the guitar which I believe is the first time he’s done it on this album. The verses are kick drum heavy. The chorus has choral harmonies yet again. There is a hint of tambourine in this one which really drives the groove. It’s a Stomp and Clap kind of song for sure. Dinner and Diatribes – This one isn’t the first impression because I have already heard it but I like this one quite a bit, there is the light distortion on the guitar. Very drum oriented. Back at it again with the Choral Harmonies. It’s a catchy song that makes you want to stomp your foot. This entry was posted in Media Trends & Tech and tagged Album, Hozier, Music, review.